My wife and I have visited our son in Quincy over the last eight years. With each visit, we enjoyed the community and recreational activities that were available. We particularly enjoyed the fishing and boating on the lakes. Last year, we decided to move to Quincy and enjoy all that Plumas County had to offer. From the first day, we have not been disappointed. We have met many people from our church, local businesses, and strangers who have been kind and helpful during that time. To us, every day has been a blessing. Measure B could change everything. Measure B is a proposition on the November ballot that could change everything. It’s an initiative for the MAUCO (Medicinal and Adult Use of Cannabis Ordinance). Its supporters say it will be good for Plumas County. Passage of Proposition 64 in November, 2016, gave California citizens, 21 years of age and older, the right to legally grow, possess and use cannabis for recreational purposes, with certain restrictions. So why is Measure B going before the voters of Plumas County? Measure B would allow on-site cannabis consumption at public events at locations in Plumas. It would also allow commercial operations to be located close to your child’s K-12 school or preschool with only a 600-foot or 1,000-foot buffer. Measure B would also provide local commercial cannabis growers exemptions from meeting CEQA (California Environmental Quality Act) requirements. As taxpayers, we’ll be on the hook for any environmental clean-ups due to careless growers. 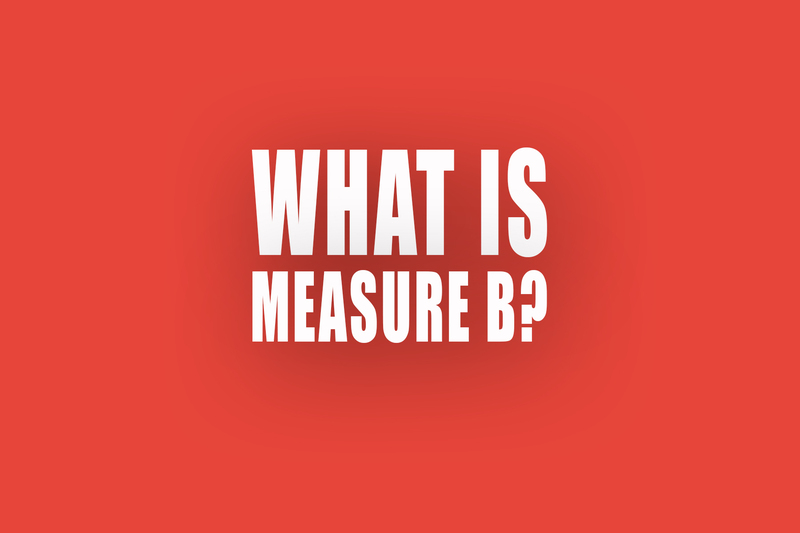 Measure B is not the change we need. I, for one, am not interested is seeing life in Plumas County change as it has in Colorado. We can help make sure Plumas County continues to be a place where children can grow up in a clean environment. To do so, we must keep commercial cannabis out of Plumas County by voting NO on Measure B. A polite well framed comment, thank you. Just wanted to provide one bit of clarification. By law, commercial cannabis cultivation in California cannot be exempt from meeting CEQA requirements. The reason that it is not necessary for the county to conduct an environmental impact report for commercial cannabis is because, as per prop 64 all commercial cannabis cultivation is very strictly regulated by state agencies. The state is in charge of environmental regulations as it concerns commercial cannabis, this is why commercial cannabis is exempt from the need for the county to conduct an impact report. It is not necessary for the county to spend time or money to regulate something that the state is already regulating. Revenue collected from cannabis growers and consumers go into a pool known as the California Marijuana Tax Fund, money from this fund pays for things like environmental clean-ups. In response to Taurin’s comment, why would we want to waive our CEQA rights to consider the effects of a marijuana grow PRIOR to the project being approved, only to have to petition the state after the fact for clean-up funds? Depending on how many city/county petitions there are for state aid on clean-up projects, Plumas could end up sitting indefinitely on environmental spoilage that actually worsens over time. Why would we want to take that chance? Further, at this point in Prop. 64’s history, we can’t really know HOW the state’s multi-agency task force will enforce growers’ compliance with CEQA, the Endangered Species Act, and the Clean Water Act. Will their response be timely? Will there be sufficient money in the California Marijuana Tax Fund to abate every case of environmental damage? These are significant “unknowns” at this time, and I am not in favor of the county waiving its right to evaluate potential environmental damage in advance of a grow project. Based on reports out of Calaveras county some months ago, over $200 million in environmental clean-up has been identified due to commercial cultivation. Where is their state compensation at this point? How long will they have to wait? And, as a citizen of this county, I am also not in favor of waiving my right to weigh in on a proposed grow in advance of its approval, should that be given–if a grow is proposed right next door to my property, there’s every possibility that MY property’s environment will affected negatively, never mind my ability to enjoy Plumas County life as I know it. Should I not be entitled to express my concerns about that BEFORE a grow is approved? The California Environmental Quality Act is a required procedure in advance of proposed physical development of land or proposed significant change in local policy affecting privately-owned land. Both the local political jurisdiction and proponents of such changes are responsible for compliance with CEQA. Usually, required Environmental Impact Studies (EIS) concerning potential development are paid for by the proponents of change (the developers) and the local political jurisdiction (counties) will run the deliberations. For major policy changes, the political jurisdiction (state and/or county) handle the expense of studies and reports, as well as the deliberative processing prior to a permanent decision. Lawsuits are often filed in opposition to such proposed changes, as well as in situations where required “mitigation” of some or all of the identified “impacts” are opposed (by Plaintiffs) to claim either overregulation or inadequate mitigation. Taurin’s reliance on Prop. 64 state regulations and a fund for clean-up don’t seem plausible to me. Why would Plumas County’s sole authority to regulate (prior to 1/1/18 and now extended via moratorium) be now in the hands of the state if Prop. 64 granted all counties that regulatory authority? Measure B says nothing about a state clean-up funding mechanism or which counties might get priority. How long would Plumas have to wait for such funds? If Plumas can control commercial cannabis activity inside its borders, how can it be that the state can pre-empt local general plans, zoning regulations, special use permits, and processes that parallel CEQA? Measure B suspends CEQA in its fifth paragraph by waiving the requirement for special use permits in any residential zone, not just those inside dense core neighborhoods within the county’s four towns. That would mean the General Plan and its zoning provisions were powerless in the face of commercial cannabis, and Measure B’s proponents won’t have to generate Environmental Impact Studies (at their expense) to weigh the potential impacts of diminished environmental and cultural qualities of the status quo. This is achieved by a few words in their initiative which would become permanent county law and therefore deny existing landowners their previous voice in land use matters generally, or for activities against their property’s boundary with no required set-backs. This assumes that every grow committed heinous environmental damage! I certainly regret taking that report at face value. Commercial cannabis will happen here regardless of ordinance. Personal cultivation also. From my recent studies, I now think the best approach is limited commercial. I believe an ordinance designed for our county can easily mitigate the environmental and other risks. With typical $2outdoor/$5 indoor canopy tax and License fees, a limit to about 1/2 Mauco-size, the revenues at about $1.2 to $1.5 mil would cover the ICS mapping and integrated licensing/compliance system that is being used successfully by many jurisdictions. These systems are not only effective in combatting illegal grows, they are effective for compliance of personal cultivation. It is good to hear your concerns. Thanks for writing.